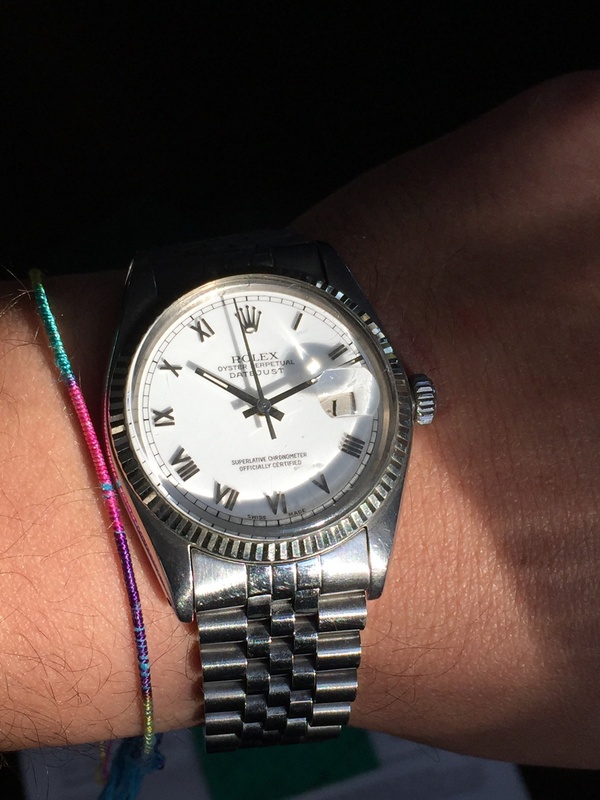 The beautiful Rolex Roman Dial was exchanged at a previous rolex service. The indexes, as well as the pointer game is made of white gold. Bracelet hardly has any stretch. Includes watch and papers. Selling at: $3700 including shipping.